This is a custom made semi-permanent vinyl decal, which can be applied to any smooth surface such as windows, plastic, glass, binders, skateboards, cars, computers, guitars, bottles, phones, etc. 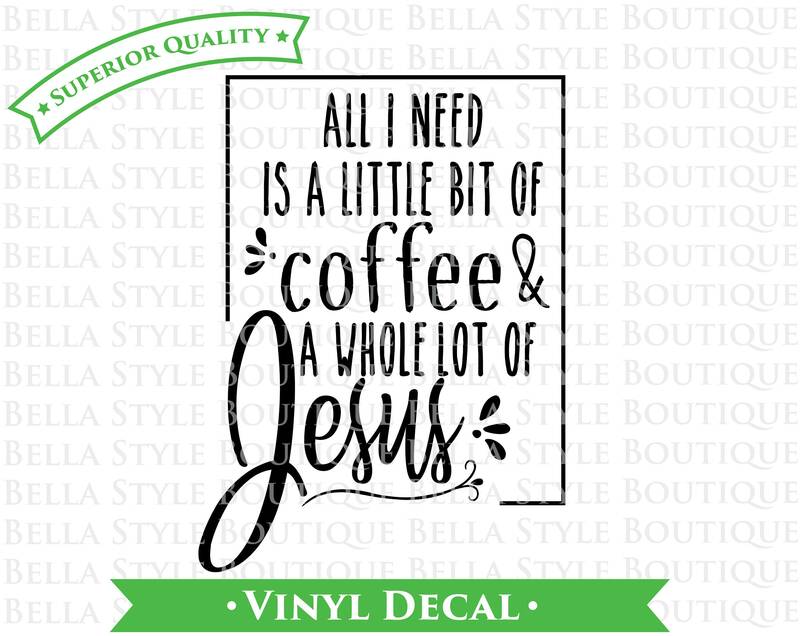 Bella Style’s decals are made from a high-grade vinyl, which is a semi-permanent, self-adhesive, outdoor rated vinyl. Our decals are cut from a solid color sheet of vinyl and have no background. These are not static cling. Using heat from a hair dryer or heat gun they can be removed, but they are not reusable. Because this is made at the time of ordering, please allow 1-3 business days (Monday-Friday) processing time before your order is shipped. Thank you. Vinyl Decal in the color of your choice. Transfer Tape to apply your decal to your chosen area. Directions on how to apply your decal can be found below. Where can decals be used? This decal can be applied to any hard, flat, non-porous surface. We do not recommend putting this decal on a wall as removal can damage your wall. Our decals cannot be used on fabric, dirty, or rough surfaces. However, our decals can be used on most smooth wood if treated with a sealant prior to adhering the decal. PLEASE NOTE: When removing the decal it can bring up paint or wood stain from the surface to which it was placed. Please consider this before applying your decal. Bella Style Boutique is not responsible for any damage caused by the decal in any manner. 1. Clean the area thoroughly with rubbing alcohol or soap and water. Do not use Windex or similar products because it will leave a residue behind that will prevent the decal from adhering well. Try not to touch the sticky side of your decal as dirt and even oils from your hands will interfere with the decal’s sticking power. 2. Prepare the decal for application by firmly rubbing a credit card across the clear transfer tape. This removes any air bubbles that may have formed and can cause the decal to cling to the transfer tape. 3. Peel the white paper backing off the decal. If the decal clings to the backing, slowly replace the paper backing and repeat Step 2. 4. Slowly place the decal onto the surface and rub it in place firmly with a credit card. 5. Slowly peel the clear transfer tape off at an angle. Be careful not to pull the decal off the surface. If the decal pulls away from the surface repeat Step 4. Bella Style Boutique is not responsible for any damage caused by the decal in any manner. Please note that due to differences in how monitors, tablets, and phones show colors, the colors shown may vary slightly.